HCE’s M-TEC program can be utilized in both a preventative and wellness environment, and to assist in the recovery of someone that is suffering from a musculoskeletal condition. HCE’s M-TEC program is the most exciting development in the musculoskeletal environment since the first muscle ever twitched! M-TEC stands for Musculoskeletal – Triage, Education/Exercise & Communication. Let’s break this down. 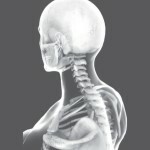 Musculoskeletal: that is what HCE is all about. Superior knowledge of the musculoskeletal system used to prevent and effectively treat these problematic conditions. You must first understand the musculoskeletal system if you hope to positively impact it. Health Connections Enterprises does understand! Health Connections Enterprises does prevent! & Health Connections Enterprises does heal Musculoskeletal conditions! Triage: the first responsibility of a licensed physical therapist, in the clinic or on the phone, when dealing with a patient is safety! The very first thing your M-TEC physical therapist will do is fully understand your current complaint. Where do you hurt, how does your condition change with different positions, different movements or at different times of the day or night? Your HCE M-TEC physical therapist will also take a comprehensive medical history, not only focusing on your current complaint, but also addressing any other conditions or symptoms that you have noticed. Right here, right at this point, the advanced clinicians that are part of the HCE M-TEC program will typically be able to answer a critical question: Is your complaint truly a musculoskeletal problem, or could something else be the cause? Safety and patient wellbeing is first and foremost to HCE! If we are concerned or suspicious that something else may be going on, you will be referred to your own physician or an HCE Approved Physician for a consultation. Once we continue with a patient in the M-TEC program, we will begin to use advanced technology to help us fine tune our understanding of the specific nature of the patient’s problem. Improper movement is often the enemy. Often, we will send specific requests for pictures and videos of the patient in various positions or performing various movements. With our technological solutions, we can send sample images and videos, so the patient knows exactly what we are looking for. When they return their data, we review it and develop a refined intervention plan. However, the intervention can begin before we get their images. Education: Education is the key to getting hold of any patient’s condition. Each patient needs to fully understand their problem, fully understand the positions and activities that irritate them and fully understand the positions and activities that help him or her reduce their pain and facilitate the healing process. HCE’s M-TEC program has educational video clips that can be pulled into customized packages and emailed to each patient. These video clips will help the patient understand their condition and what they need to do to improve their condition. Exercise: While education is the key to ‘getting hold of’ any patient’s condition, exercise is the key to ‘keeping hold’ of it! To put it simply, except in the case of direct trauma to the body from an outside source, most musculoskeletal problems are caused when a specific tissue or body part begins to have trouble handling the stress or load we place upon it. Remember, the stress or load we place on our tissues and bodies is the combined load of both work and play. We also need to understand that the fuel we put into our bodies or the toxins we consume play a large role in our musculoskeletal health and overall performance. With this said, exercise is the key to overcoming the ‘weak link’ in our tissue or body that has begun to break down. Now wait a minute? We move it, or use it too much, and it hurts; and now I am supposed to move it MORE? YES! 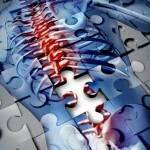 The secret is that you need to move it correctly and allow proper time for tissue rest, recuperation and regeneration. In other words, you need very precise and specific movements designed to “remodel” the weak tissue. Every different type of human tissue responds to different stimuli or exercises. By precisely controlling our movements and exercises, we can stimulate the body to become stronger, have better circulation and endurance, withstand outside forces better, and even REVERSE the break down or degeneration that most people think is the normal result of aging. This commonly held belief is a MYTH! Even at an advanced age, proper exercises and movement has been shown to prevent, halt, and reverse degeneration and disability. Communication: The final component of the HCE M-TEC program involves our advanced communication system. This goes well beyond the State of the Art education and exercise platform described above. HCE has a mechanism of providing effective and efficient coordination and communication, in a HIPPA compliant environment, for both work and home related musculoskeletal conditions. Through this communication system, HCE employer clients can communicate with HCE, with HCE Approved Providers, and with adjusters or nurse case managers involved in each case. By streamlining the communication within this encrypted system, HCE can oversee the care being delivered to each and every patient within the system. When referrals are required to treating physicians, specialists, physical therapists, hospitals or other healthcare practitioners, they all can be made through this system. New providers can be added to an existing referral and given access to the necessary patient data already within the communication system. Patients can migrate into and out of the required healthcare providers, with HCE and other authorized personnel never losing track of where they are and what is the next step. This communication system can hold both protected personal health information and general information about the case, giving proper access to each type of data or information. The encryption and security system utilized by HCE for this communication far surpasses the industry standard.